Here is the video of Anna’s 100 yard dash race. 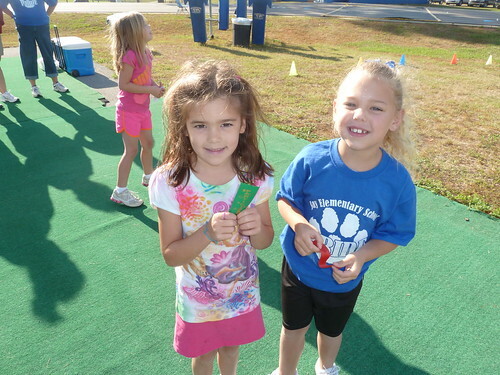 Anna and Josie pose for a picture after the 50 yard dash. 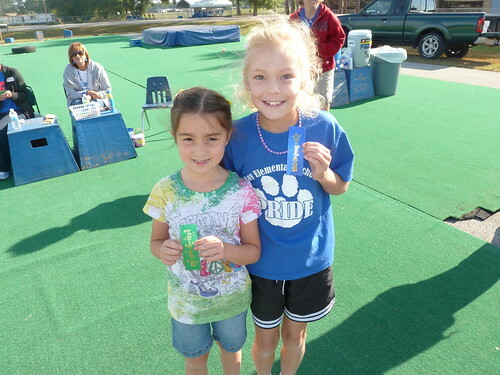 Isabelle got fifth place in both the 50 yard dash and in the 100 yard dash. Here is the video of Isabelle’s 100 yard dash race. Jada and Isabelle pose after the 50 yard dash. The girls enjoyed their race day!